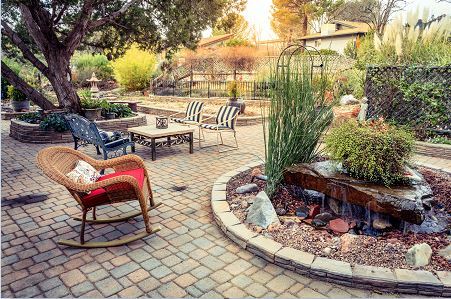 You can add wonderful character to your outdoor space by careful garden landscaping. 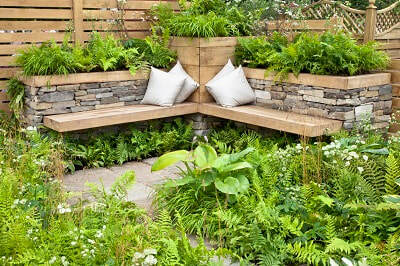 Whether you plan it yourself on the back of an envelope or call in a professional garden designer. Judicious use of inspiring materials can create a unique structure and background for your planting. A boring rectangular plot can be transformed by the addition of paths, boulders, rockeries, raised flower or vegetable beds and perhaps the odd sculpture. You don’t need a large garden to enjoy a landscaped garden; whatever size your plot, you can enhance it. Rosemary Verey, a famous garden designer, talked about the “bones” of the garden being as important as the planting. And we definitely agree. Beautiful plants in a plain border will bring cheer to your garden, but add in the bones and you’ll bring joy to everyone who sees it! The trick is to lead the eye, create different areas, use different materials to add texture and variety, always remembering that your garden is for the enjoyment of the whole family. So incorporate an area for children if that’s what you need; make it colourful and fun. Whereas an adult area may be more relaxing with comfortable seating and room for a glass of wine. At the planning stage take into account how much maintenance you want to do. 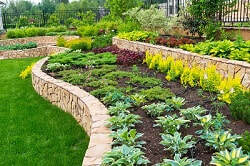 Perhaps you’re an avid gardener who enjoys growing vegetables, digging the plot and sowing seeds. Or maybe you love to tinker, deadheading roses and trimming the edges,but nothing too heavy. Or you could be looking for a garden that’s virtually maintenance-free; in that case you may need more patio areas or decking, perhaps planters that are easy to keep, fitted with a self-watering device. So where do you begin with landscaping your garden? We’d suggest you start with what you can’t change. 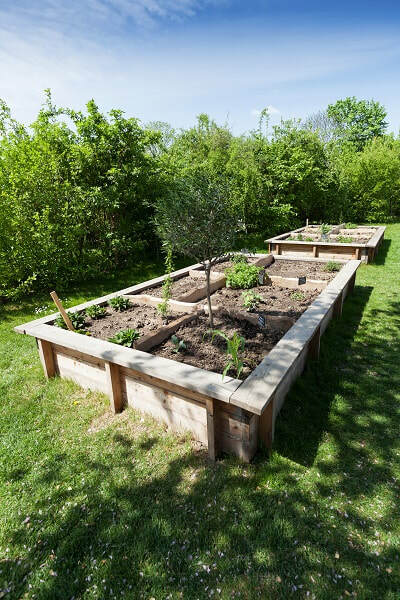 Take a sketch pad or large sheet of paper and draw the outline of your garden. Those who are computer-savvy may find it easier to use a drawing package! Now add those elements that can’t be changed or you want to keep. That might include walls or fences and established hedges. Or maybe you have a favourite bush or tree or a water feature that you want to preserve. Include any sheds or outbuildings that must stay put. So now you have your bare bones – a bit like a skeleton with just a backbone, arms, legs and a head. And it’s time to add more essential infrastructure, like a ribcage! Consider which direction your garden faces. Where is the sun in the morning and how does it move during the day? Where are the shady spots where plants might struggle? Are there any cold or exposed spots or is it a warm and sheltered space? All this will make a big difference to the landscaping and how you plant your garden. You may wish to build a flint wall to create an interesting sheltered sunny corner or perhaps a wall with alternate bricks and gaps that will break up a windy spot. Often a well-placed mirror will bring light to a dark and dingy corner – always being careful not to place a mirror where it can catch the sun too much, creating a fire risk! Once you know where the warm and cold spots occur, you can decide on the best structure for your garden. 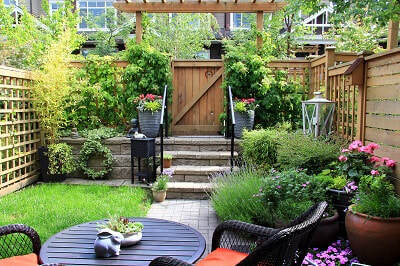 Plan where you want your patio or decking – sun or shade? 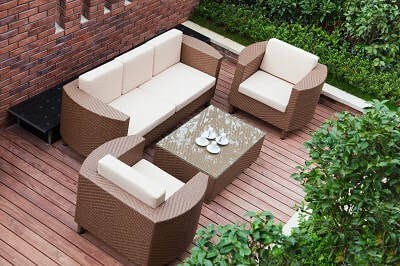 Do you want it next to the house or is that area reserved for the kids, so you’d prefer to create a cosy area elsewhere? Are you having a greenhouse or a garden room? Siting is one of the main considerations before you start to plan the rest of your space. Once all the bones are in place, it’s time to link them together with pathways, walls, raised beds and artwork or planters. We can help with all the structure of your landscaped garden. 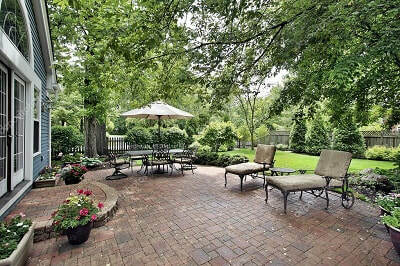 As experienced landscapers, we can advise and help, as well as produce a beautiful space. Call us on 01403 540162 or complete the contact form and we'll be in touch. And a whole host more!